Simply collect sample, pipette into testing wells and read results. 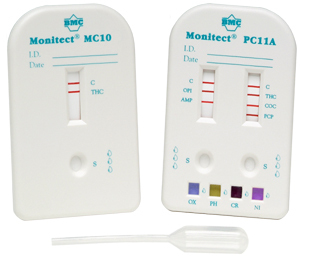 Monitect® is a FDA 510K cleared mutiple drug screen cassette that can simultaneouly test for both drugs and adulterants. It can test from one to 5 drugs and can be accompanied with 4 adulterant tests.